. 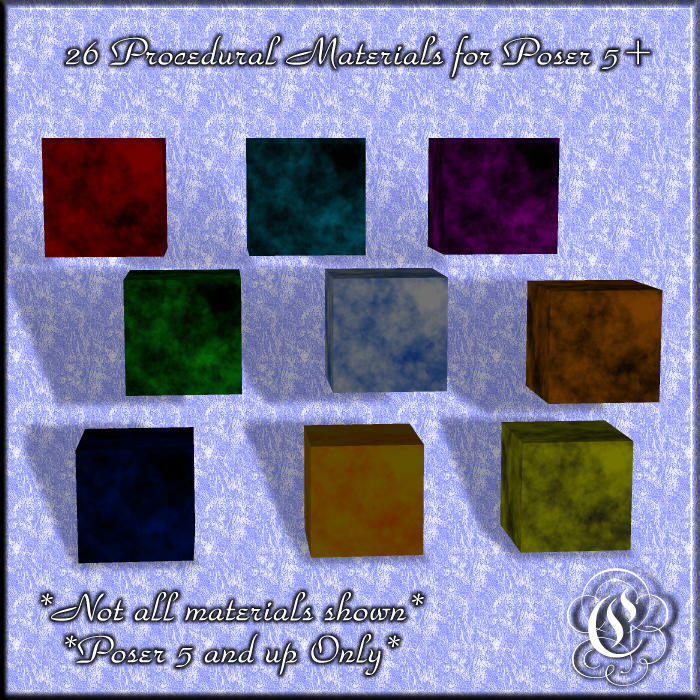 :: COF Cotton Materials For Poser 5+ ::. These are just a set of procedural materials for Poser 5 and up. There are 26 total materials included.